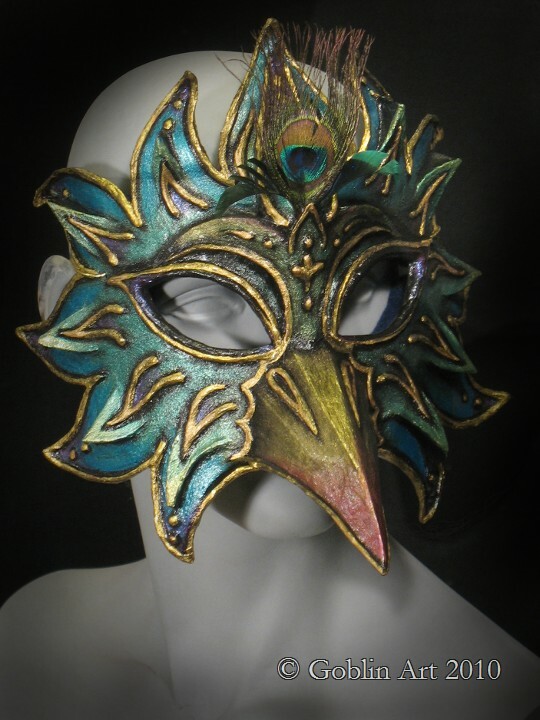 My masks are made either from cast neoprene, or thermoformed ABS plastic. The materials may be modern, but I use a variety of paint layering and antiquing techniques to create highly durable pieces with a timeless or classical presence. Many people who see my masks for the first time ask me if they are made from leather or paper mache. Some people assume they must be ceramic until they pick them up and find out how light they are! Critical Coatings - Semi-rigid liquid neoprene. Ships to continental USA + new UK distributor! Fiberlay, (Formerly Stephenson Pattern Supply) - Hydrostone and Ultracal plasters for moldmaking. Portland, OR. Georgies Ceramic & Clay - Clay, sculpting tools, casting plaster. Portland & Eugene OR. Make a mask from plastic bottles!